Eric Clapton will release his first solo album in five years on 27 September in the UK, and the following day in North America. 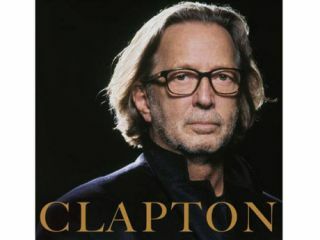 Simply titled Clapton, the album features guest contributions from Steve Winwood, Wynton Marsalis, Sheryl Crow, Allen Toussaint, Derek Trucks and others. It is co-produced by the guitar legend's long-standing collaborator Doyle Bramhall II. "It's actually better than it was meant to be because, in a way, I just let it happen," Clapton said. "It's an eclectic collection of songs that weren't really on the map - and I like it so much because if it's a surprise to the fans, that's only because it's a surprise to me, as well." The 14-track album is a mix of originals and covers. Of the latter, many are standards, including Johnny Mercer's Autumn Leaves, Irving Berlin's How Deep Is The Ocean and Hoagy Carmichael's Rocking Chair.